Like Revealed Rome? Then “Like” (or Re-Like) It On Facebook! Want to stay up to date with the newest Revealed Rome blog posts, see photos, get up-to-the-minute tips, and chat with other lovers of (or travelers to) Rome and Italy? 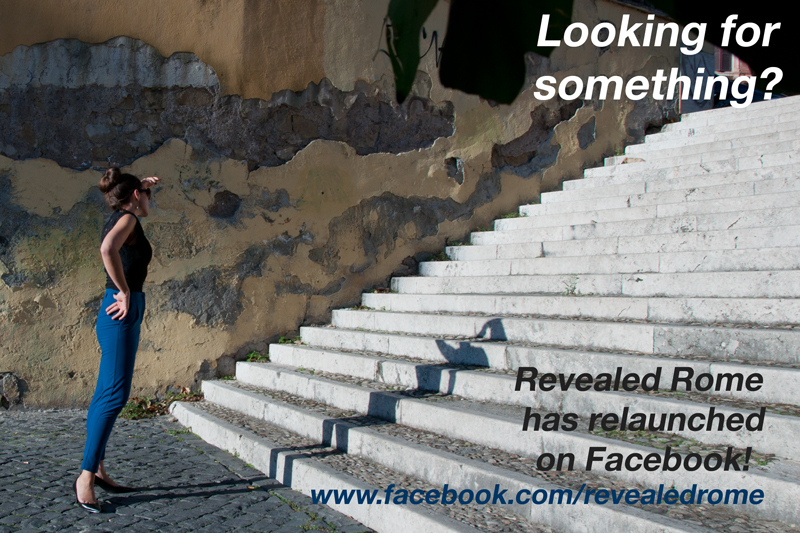 Then "like" my Revealed Rome Facebook page! And (this is important…) even if you've "liked" it before, you have to "re-like" it again if you want to keep following. Due to some bugs that Facebook wouldn't fix, I had to completely delete my old page and relaunch it today. So head on over and like it here! Thank you so much for your follows and support! Tired of reading my tips and tricks to Rome and Italy—and want to sit back, relax, and listen instead? 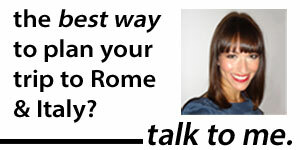 Then tune into my half-hour chat with Anthony Capozzoli on the radio show "How to Tour Italy." From the best way to experience Umbria in a day trip, to my take on Italian graffiti, to (most importantly) why funky-looking Italian lemons don't bother either of us, but the sight of puffy, pretty gelato does, we covered a lot of—very varied—ground. Here are some of the other great guests Anthony has had on his show. Anthony, it was a pleasure to appear on your show, and I look forward to chatting with you for more episodes in the future! New Revealed Rome Tool: A Map! 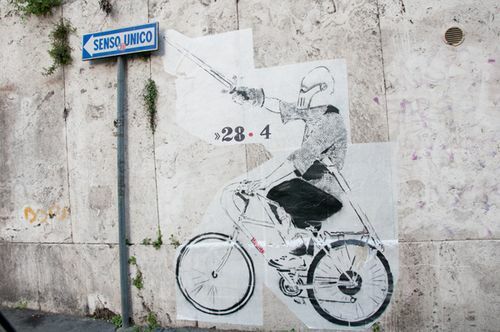 As my site expands, I'm finding myself trying to think of new ways for it—and, by extension, for Rome—to be navigable to readers. Enter a suggestion from a friend of mine, who says he used Revealed Rome to plan his trip last week, but could have used a little more help on where was what: a map. Um. Brilliant. (Thanks, Billy!). So here it is. A map of Rome in which I impatiently lovingly inserted every single sight, restaurant, shop, hotel, and church I've written about on Revealed Rome. At your service. 1) I don't recommend every place I've mapped without reservations. Some are sights that not everyone might like; others are restaurants that have gone downhill. So, when you click on a pushpin to see what it is, please also click where it says "website" to read what I wrote about it in my linked blog post. 2) Please note that this is not an exhaustive guide to everything I recommend doing and seeing in Rome. (That's for another day!). Instead, it's a more visual way to navigate the blog posts I've written. What do you think? Any other ideas to help improve Revealed Rome? Let me know in the comments! There’s a lot of ambiguity in the travel blogging world over ethics. The debate isn’t something I’m going to delve into… at least right now. But because people look to Revealed Rome for honest advice about what to do, where to stay, and where to eat in Rome, I wanted to make sure that my readers know what my personal code of ethics is regarding commissions, paid links, and so on. In short: I don’t take any commissions from any of the places I write about. I’m a passionate person, so if I’ve looked at a hotel in Rome and loved it, you can probably tell when I write about it. But that shouldn’t make you wonder, “She seems so enthusiastic about this place, she must be getting some kind of kickback for writing about it!”I’m not. The same goes for my writing about restaurants, shops, and, well, everything else. I also don’t do paid guest posts. Nor do I do paid links. So if you click on a link I’ve inserted into a post, rest assured that I used it because I think it brings you to a helpful, trustworthy website—not because I’m paid for it. Finally, if there’s a professional relationship with a place I’m writing about, I always will disclose it. The fact that I once freelanced for a tour company, for example, shouldn’t preclude me from being able to mention the company when it’s relevant. But it does mean that, if I mention them, I will always disclose that I also blog for them. And yes: All of these rules also apply to my travel-consulting sessions. If I recommend a place during consulting, it’s not because I’m getting paid to do so. It’s because I like the place that much. So how do I make money? Good question. 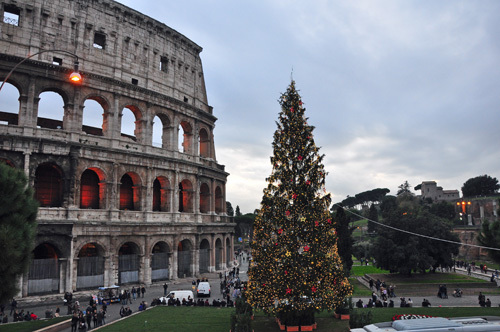 There are three ways: My Italy travel consulting sessions. The Google ads you see on the side of the page (the content of which I don’t control). My Amazon affiliation. And, occasionally, other ads. (Hoping to advertise with Revealed Rome? Contact me for more information!). As you can imagine, though, these “revenue streams” aren’t exactly enough to live on. So if you’re a fan of the site, and want to help me be able to feed myself while continuing to keep it up, consider scooping something up from the (new!) 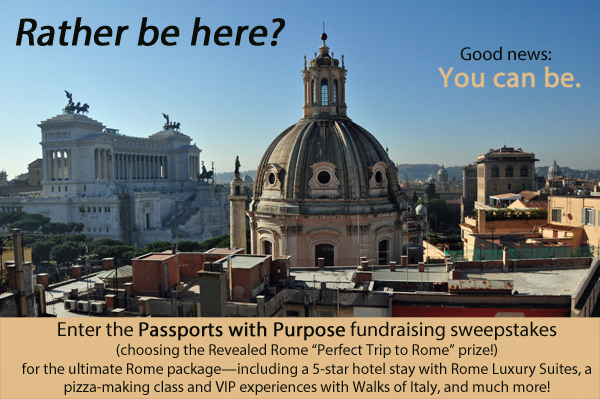 Revealed Rome store, booking a consulting session with me… or, hey, I’ll take donations, too ;). Got any questions? Comments? Let me know here or email me at revealedrome@gmail.com. I’d love to hear what you have to say!